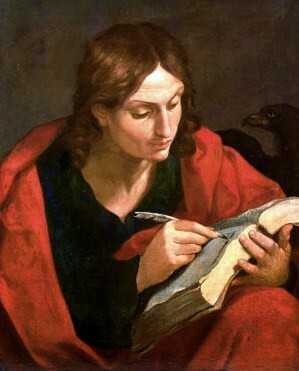 Two days after Christmas, the Church celebrates the Feast of St. John, apostle and evangelist. 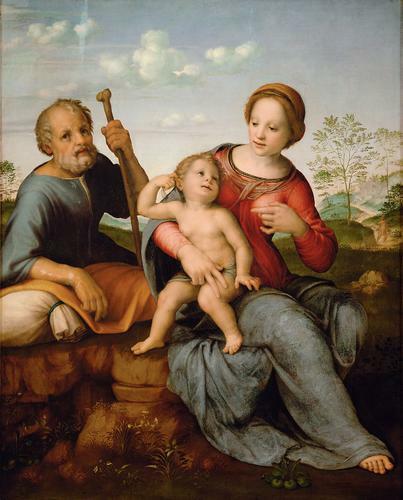 John is the apostle who stood by the Cross of Christ and received Mary into his home. The gospel attributed to John was the last of the four canonical gospels to be written and contains the most explicitly developed and exalted understanding (Christology) of who Christ is. This can be seen in the very first verse of the first chapter of John: In the beginning was the Word, and the Word was with God, and the Word was God. John wastes no time in presenting the great mystery of Christ as fully God and fully human! Here, I think it is helpful to distinguish the Church’s understanding of mystery as contrasted to our pragmatic American mindset. Often, in our American understanding, we view mystery as a problem to be solved and then moved on from. The Church’s understanding is different. The Church invites us to view mystery as a reality to be lived and encountered. As we continually live and encounter this great mystery we are brought to truer understanding and deeper conversion. The mystery of Christian faith is not a problem to be solved and left behind but rather a living reality to continually be returned to and a reality which does not fail to nourish us. Perhaps this understanding of mystery (and specifically the mystery of Christ as fully God and fully human) is why the Church has placed this Feast of St. John just two days after our celebration of Christmas. On Christmas we celebrate the incarnation of the Word made flesh; today we are invited to live and encounter this mystery whom we name Jesus, Lord and Savior. In light of this understanding of mystery, I think it appropriate to share a few verses from John’s gospel that might assist our prayer and reflection during these first days of the Christmas season. The true light that enlightens every man was coming into the world. He was in the world, and the world was made through him, yet the world knew him not. He came to his own home, and his own people received him not. But to all who received him, who believed in his name, he gave power to become children of God, who were born, not of blood nor of the will of the flesh nor of the will of man, but of God. The Word came to his own home… What a marvelous and also tender thing! God created the world and prepared the people of Israel that He might have a “home” to come to. Creation (and therefore we) are of primary concern to our God! God is not content to let us be lost in sin and death so he prepares a home. The Word becomes flesh! “Home” is a powerful word, a word laden with meaning and symbolism. John is opening for us a great truth of our Christian faith. God, it seems, does not just want to save us and correct our erring ways while at the same time remaining distant and removed; rather He wants to make a home with us. God wants to make a home with us! This truly gives an added dimension to the manger scene! How might this “home” be made? But to all who received him, who believed in his name, he gave power to become children of God; who were born … of God. When we open our own hearts to receive Christ then our Lord enters and makes of our own hearts a home where he might dwell. And as we receive Christ then he makes of our hearts a place of welcome (a “home”) for others. The Church and the apostle John are giving us a great truth to chew on these first days of Christmas – the birth of Christ both makes possible our own birth and give us a true home. As we encounter and receive Christ who is the Word made flesh then we, ourselves, are made children of God and members of the household of God! God comes to make a home with us! I have been watching the news on the tragic shooting at Sandy Hook Elementary School in Newtown, Conneticut from Italy. (I am in Rome studying Italian for three weeks and praying and working with the Community of Sant’Egidio.) I first heard of the shooting through Fr. Francesco who made mention of it during his reflection for the community’s evening prayer last Friday. Since then my heart has been hurting for all the victims and their families, for the community of Newtown, for our nation and even for the disturbed young man who committed this horrible act. 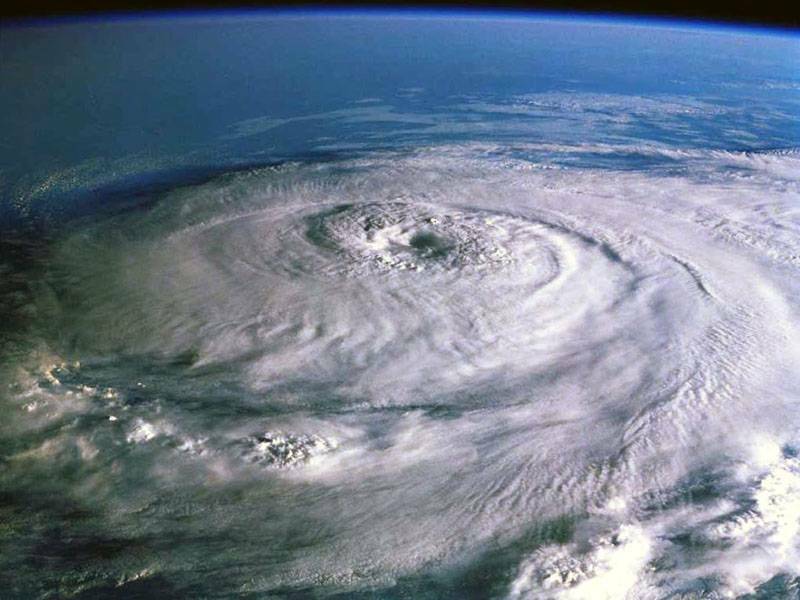 Not that long ago our nation watched as different weather patterns and environmental factors came together to produce what we now call “Superstorm Sandy”. A storm that devastated New York and New Jersey. Rising sea levels combined with shifting air currents and warmer temperatures to produce the superstorm we saw wreck so much damage and take so many lives. I find it ironic that Hurricane Sandy and this elementary school share the same first name. In many ways this is how I view what tragically happened last Friday – the coming together of so many fronts of different activity that produced an explosion of senseless violence and destruction – a “perfect storm” if you will. What are these “fronts”? I would list a few. The glorification of violence in our society throughout all forms of media, entertainment and interaction. The tearing down of social structures that have historically served as safety nets of support in our society (i.e. family, church, neighborhoods, community). The isolation of the individual that is growing in our society. The pressures laid on all people but especially the poorest due to the economic crisis. The overuse and over-prescribing of medications that can actually hinder the development of proper life coping skills. (There is a legitimate value to medication which I do not deny but I believe it a fair and needed question to ask if medications are overused and to question this overuse.) The de-valuing of life in our day and time – life in the womb, life in prison, the dignity of the stranger, the life of the elderly. A dismissal of any sense of the common good over a myopic focus on the individual. A breakdown of mental health services in our society. A destructive competitive edge to relationships and living and suceeding in life which permeates, it sometimes seems, even the very air which we breath. An easy access to guns and truly excessive fire-power that I cannot honestly believe the Founding Fathers could foresee. I cannot help but believe that all these factors came together in a perfect storm in the life of that troubled young man – a perfect storm that exploded in Newtown. In the classic movie “A Man for All Seasons” there is a scene where the son-in-law and family of Thomas More argue with the sainted Chancellor of the Realm. The impetuous young man wants to do away with the laws of the country in order to counter the unjust actions of the king and his agents. More challenges him on this by asking when all the laws of the country have been laid low like the trees of the forest cut down what will then protect them when the devil comes ravaging? It is a profound question. When all has been cut down what will protect us when the devil comes ravaging? Within all of this there is also the profound mystery of evil. Evil is real and we are naive to pretend it does not exist. As Christians though, we answer evil. We answer evil with the story of the cross and the empty tomb. Death and sorrow do not have the last word. As Christians, we tell the story and we get up again. In the face of evil we do good because God is love and love is the true center of life. It is time to get up and time to start building again. It is time for all of us to let go of the false philosophies that have torn down what once sheltered and protected us and have now come together to create the very factors that make the perfect storm real. Why a school? I do not know if this question has been answered yet or will ever be answered. I will put forward one thought. In the context of a barren landscape where all has been cut down, where is the last place standing where life is protected and nurtured? I would say a school. Who are the living embodiments of life and our hopes for the future? I would say children. We need to stand up. We need to start building again. Each one of us needs to fiercely search our souls and let go of any lies that tear down and divide and we need to start building. We need to live lives that counter violence, that overcome isolation, that seek relationship and that acknowledge both the dignity of the individual and the value of the common good. It is for our children. The truth is that today the Word of God comes to us. We have two options: we can keep this Sunday’s gospel (Lk. 3:1-6) at a comfortable distance by thinking, “Oh, ‘in the reign of Tiberius Caesar‘ that is in the past. Nice story.” or we can catch what Luke the evangelist is actually doing in his litany of specific names and titles. For Luke the “word” is not some vague spiritual idea or inspiring myth. No, the “word” is in fact a historical reality that “comes down” into the affairs of human nations and times and even into the stuff and routine of our daily lives. The “word” chooses to be specific and to enter into particular times and places. …the word of God came to John the son of Zechariah in the desert. John welcomed the word in the desert we are told. Again, we cannot be comfortable here. The desert is not some far off place on another continent with an exotic sounding name. Despite the noise and amusements we are, in fact, right in the middle of the desert of our times where life is not truly lived nor joy truly found. Elsewhere in the scriptures we are told that Herod was hateful of John’s denunciations of his actions yet, at the same time, drawn to his words. John, I think, was such a compelling figure for the ruler precisely because he was able to do what Herod was not. John recognized the desert of his time and because of that he was able to live his life not lost in an endless series of amusements but rather authentically and fully. John truly lived his life and he truly knew joy. How did he do this and how might we? Three lessons for us: poverty, humility and hospitality. John was a poor man and he accepted his poverty. We know that materially John had nothing (wearing only a camel-skin and a belt) but even more so John accepted the poverty of letting go of the myth of self-sufficiency. John, in the depth of very being made a soul-searching inventory, and accepted the truth of dependence upon God in both its bitterness and sweetness. We are told that John survived on locust and wild honey. Because of his poverty, John is free. Herod is not free. John knew the joy of humility. He does not need the illusion of the “royal palace” in whatever shape it may come and he cautions and chastises those who cluster around the palaces of our world. John, in contrast to the false pride of our world, would be very comfortable (I think) with the saying, “Christian, remember your dignity.” The school of humility leads one away from false pride yet it also leads one back to true pride. We are children of Abraham, we are sons and daughters of the Father and even as we are not worthy to untie the thong of his sandal (Jn. 1:27) we are abundantly and immensely loved by our Lord and Savior! Humility overcomes false pride because humility leads one to put trust in the Lord and the Lord alone. Humility leads to joy. When the “word” came to John he welcomed it. God loves us too much to let us remain comfortable and content in the false illusions of the desert of our world. One way or another God is coming to us. The key is to not fear but to welcome, to be hospitable. What a great thing it is to have God come to us and to seek entrance into our hearts. When we welcome Christ into our hearts then Christ will make his dwelling there and make of our own hearts a place of welcome for others. This, I think, is the surest “proof” if something is from God or not. Is our heart becoming a place of welcome and hospitality for others or not? 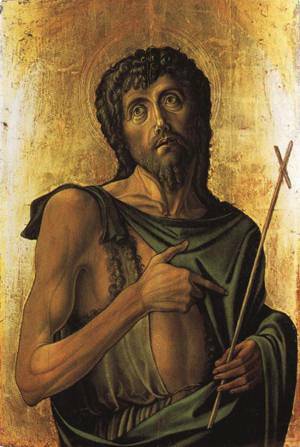 Through his poverty and humility John did not become severe and distant. Rather, the opposite. If one reads further in this third chapter of Luke (and it will be proclaimed next Sunday), John knew the struggle and hardships of people and when the people asked the prophet what they should do he responded by keeping it simple. Be good people, seek to do what is right and just, care for one another and recognize the coming of the Kingdom of God. John’s heart was anything but distant and cold. John’s heart was a place of welcome and hospitality because he, himself, had welcomed the Word of God.